Combine the sugar and water in to a saucepan and bring to a boil. Once the syrup is boiling, reduce to a simmer and continue to cook until the sugar has dissolved. 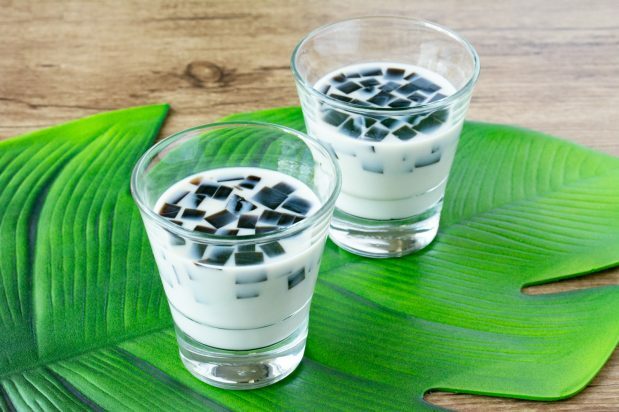 Spoon some of the grass jelly in to a glass and add the syrup to taste. Finish by adding the soy milk and serve.